Mark your calendars for Transformations Annual Voices of Wisdom Benefit Dinner! This evening, with the theme of “A Pilgrimage of Discovering Healing, Hope and the Human Spirit,” will provide food for body and soul. When Paula D’Arcy decided to walk a small section of The Underground Railroad in May of 2008, she little guessed how personal and important the experience would become. Join us as Paula shares the powerful story of the people she met along the way, the fears she faced, the turning points, the hearts that touched her and the lessons learned. The traveler became a pilgrim and learned deep truths that not only fostered her growth but can teach us about our own life's path. A book-signing will follow the dinner. Please consider sponsoring a table for Transformations Spirituality Center’s 9th Annual Voices of Wisdom Benefit Dinner. 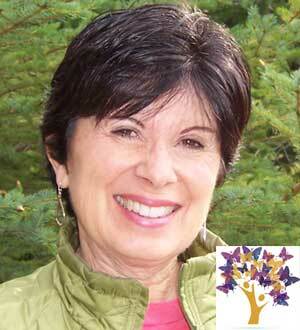 Paula will also be facilitating our Voices of Wisdom Retreat on Saturday, March 17, from 9:30 to 2:30pm. For more information on her retreat, see our website.